Oh heavens, do these look yummy! Visit Alanabread for recipe, instructions, and a cute diagram. Are you celebrating a graduation this spring? 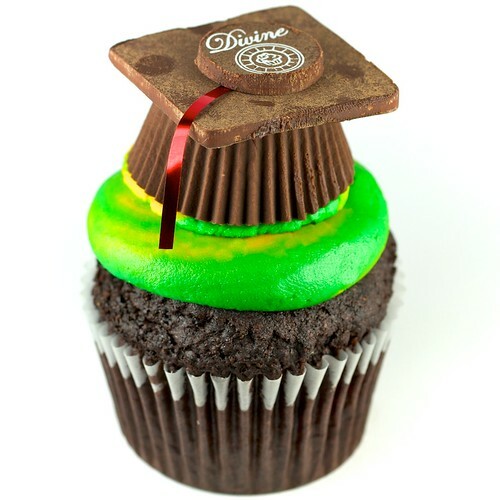 Then you might want to order some of these graduation cupcakes from Divine Cupcake! And we’ve got yet another awesome use for the peanut butter cup! 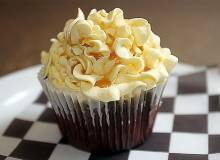 If you visit the Divine Cupcake website, you can enter to win $100 in cupcakes! I really don’t think you can go wrong with chocolate, caramel and pecans. 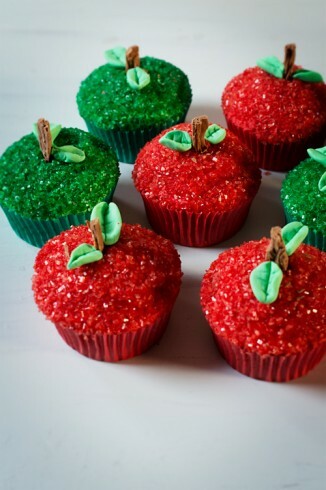 That’s why I think these cupcakes look so delicious. The cake is chocolate with a heavy dose of chilled espresso, the filling is a gooey blend of caramel and pecans, and the frosting is a chocolate buttercream. My mouth is watering just looking at this picture. This Liberty of London white bird print tea towel is a little different from the Liberty of London patterns I have seen before. 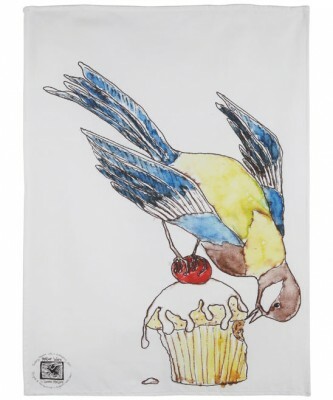 The tea towel features a blue bird eating a cupcakes and costs £12.50. The image is also available on everything needed for a tea party, plates, teapots, teacups, three tiered cake stands, and more. 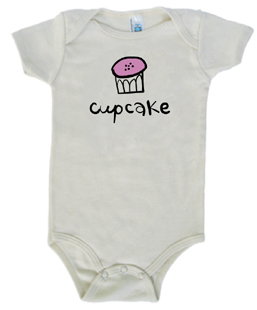 The Pink Olive website offers this cupcake bib and matching bodysuit; both of which would make a great gift for a newborn baby. 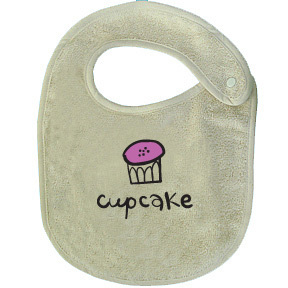 The bib costs $19.50 and the bodysuit is $28.00 and both items are made from organic cotton. We just wrapped up Memorial Day weekend, which for many people, meant the first camping trip of the year. 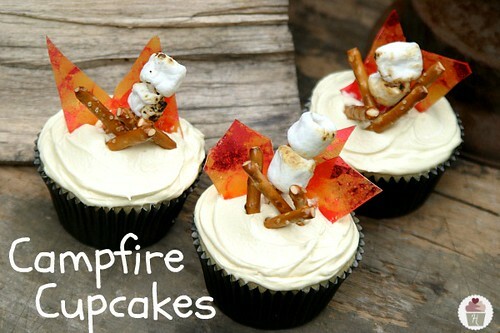 And what better way to celebrate than with these clever campfire cupcakes? It’s like a s’more, only better! Find complete instructions and visit the creator, “The Cupcake Lady,” at HoosierHomemade.com! Are you searching for a last-minute dessert idea for Memorial Day? 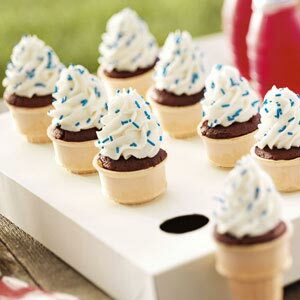 Take a look at these Patriotic Cupcake Cones from Taste of Home. Red cake, white icing, and blue sprinkles make this a simple patriotic treat for tomorrow’s festivities.